Mango & Tomato: Avocado, Pea & Watercress Puree with Spicy Shrimp. Plus, an Avocado Giveaway for Mother's Day! 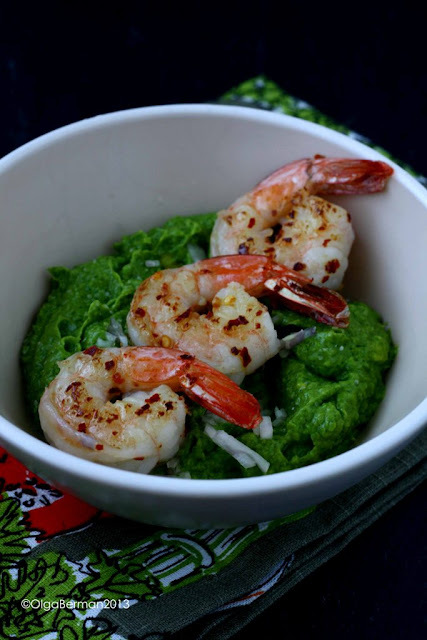 Avocado, Pea & Watercress Puree with Spicy Shrimp. 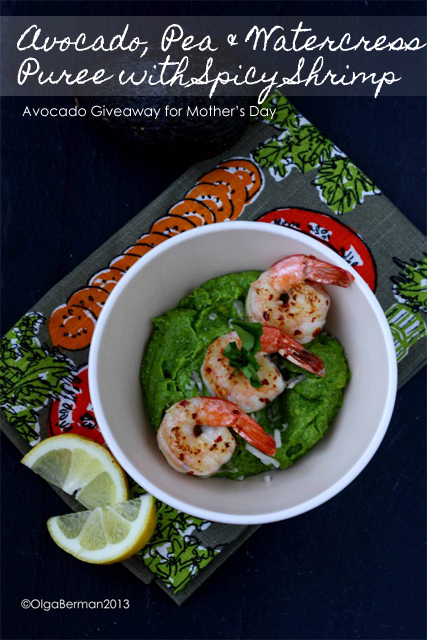 Plus, an Avocado Giveaway for Mother's Day! Last year, my friend Rachael, aka La Fuji Mama, sent me a box of six avocados from California Avocados Direct. I loved those avocados! They arrived completely unripe and bright green and turned ripe and black while sitting on my kitchen counter. Of course I ate some of them in salads and on sandwiches, but from the rest I made an avocado soup. This year, I got lucky again ;) Mimi Holtz whose son Ben started CaliforniaAvocadosDirect.com, sent me six of their avocados and also generously offered to give away one box of the avocados to one of you!!! Make sure to read this entire post to find out how you can win your own California Avocados! 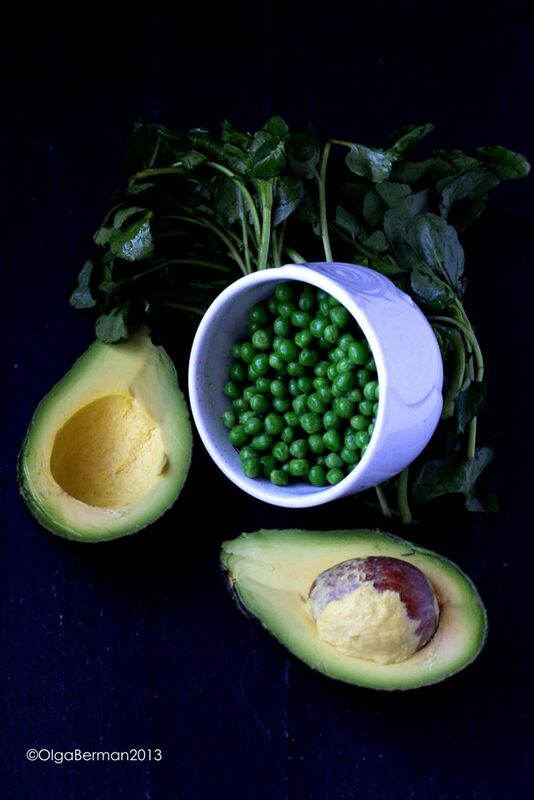 This time around I decided to make another simple recipe that makes avocados shine. I combined the creamy avocados with slightly bitter watercress and sweet peas and topped that concoction with spicy shrimp. 1. 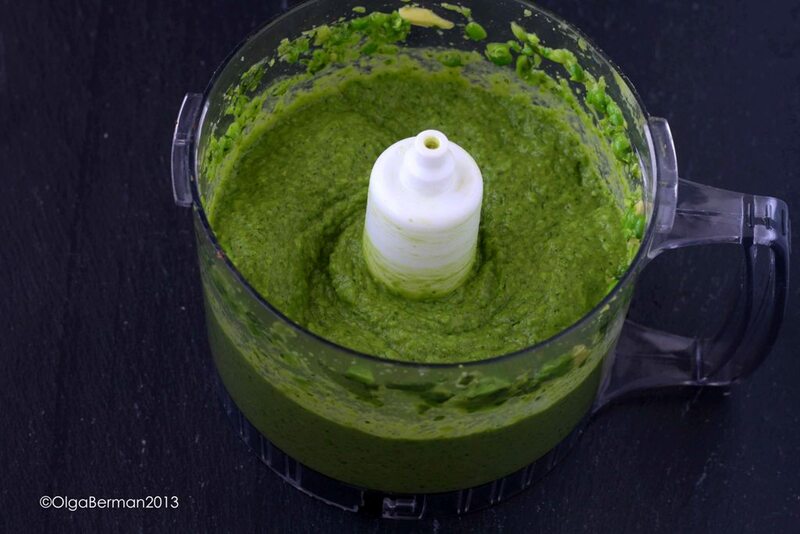 In a food processor combine all the ingredients for the avocado, pea and watercress puree till smooth. 2. 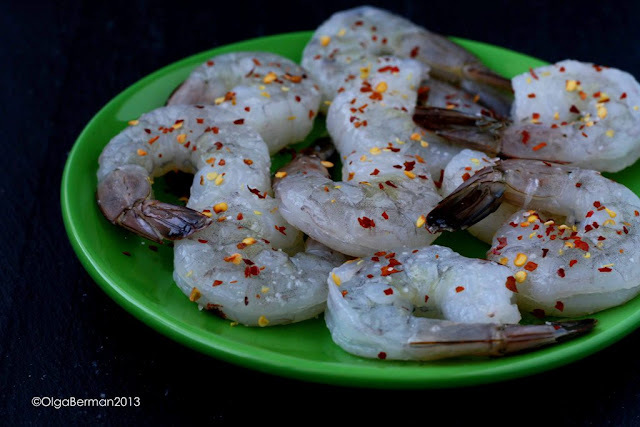 In a large skillet heat the oil and then cook shrimp seasoned with salt and red pepper flakes for 2-3 minutes on each side. Squirt the shrimp with lemon juice. 3. 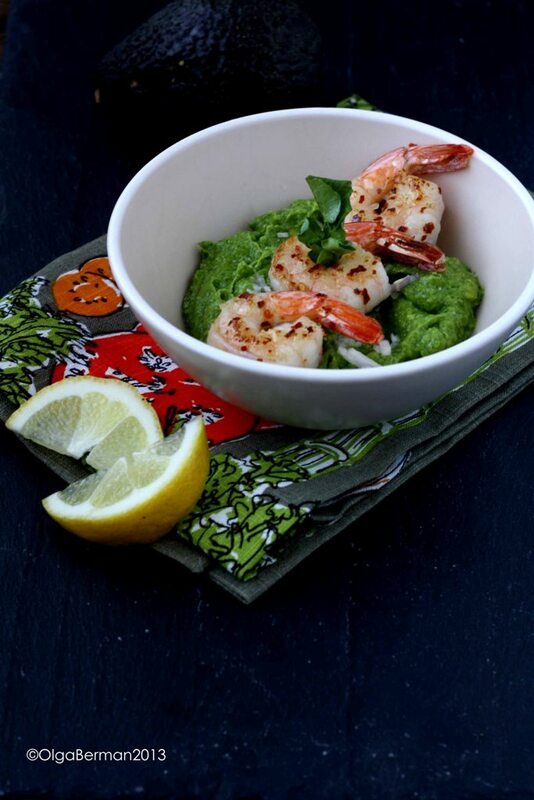 Serve the shrimp on top of the avocado, pea and watercress puree. I loved the combination of green and pink. This dish is perfect if you are trying to cut down your carbs but still want something satisfying. 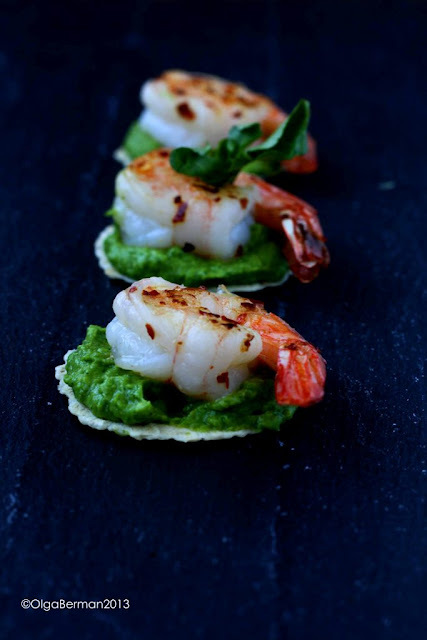 You can also use the components of this recipe to make little appetizers by spreading the puree on a cracker and topping it with the shrimp. And now here's how YOU can win your own 6 avocados from CaliforniaAvocadosDirect.com. 1) You must sign up for CaliforniaAvocadosDirect newsletter. Sign up and then leave a comment below letting me know you did so. I will announce the winner using a random number generator on Monday May 6th at 10 am. Disclaimer: I received six California Avocados Direct, but not monetary compensation for this recipe and post. All opinions are my own. California Avocados Direct is sponsoring this giveaway.